From 25th to 31st May 2014, we walked from the north coast to the south coast of Devon. 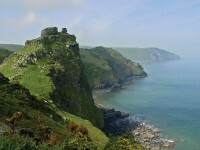 “Two Moors, Two Seas” took us from the Bristol Channel to the English Channel and across the two moors of Exmoor and Dartmoor. More details on the walks can be found here. For this year’s walks and gigs, John was accompanied by regular Ramblers Al Scott (guitar/mandolin) and Tim Cotterell (fiddle/mandolin). Dil Davies will provide percussion and be joined by Lindsey Oliver on stand-up bass. Rowan Godel will join John on vocals at all the shows. Click here for a new video and more news of the Reluctant Ramblers. We meet at 11am at Barbrook on the A39 for a half-day walk going up onto Exmoor – taking lifts into Barnstaple at the end of the day. Sunday night’s show is a special one to start the tour – and a treat for thirsty walkers! 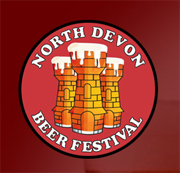 John Jones and the Reluctant Ramblers play the North Devon Beer Festival! This is held in the Pannier Market, Barnstaple – with local food, cider and beer from North Devon micro breweries, this has been described as a festival with a friendly atmosphere, great food and entertainment and a fantastic day out in the centre of historic Barnstaple. Our set starts at 8.30pm. Bank Holiday Monday – walk from Barnstaple along the estuary and the river to Great Torrington. This is a fairly flat walk and we hope as many people as possible will join us! We are aiming to stop for lunch at the Westleigh Inn. Walk south from Great Torrington to the village of Hatherleigh, via a lunch stop in the Royal Oak at Dolton. Tuesday evening’s event will be the smallest of the tour, a set and session in the Tally Ho Inn, Hatherleigh – all welcome but there is not much space! Walking south from Hatherleigh gives a fantastic view of Dartmoor. The day’s route will take us up onto the moor in time for lunch at the Tors Inn, Belstone, and then on to the village of Chagford. 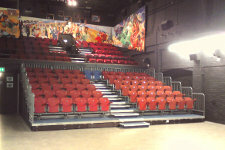 The evening’s show will be in the function room of the Drewe Arms in Drewsteignton. From 7pm, you can enjoy a drink and watch local morris sides dance outside the pub. The show will be a combination of music set, session and ceilidh – those who came to Elsted on the Song of the Downs tour in 2013 will remember how special that evening was, and the Drewe Arms is aiming to host a similar event. Tickets £6 on the door. Great Western Morris and Tinners Morris will gather around 6.30 and dance alternately for around one hour. A full day of moorland walking takes us south to Holne, via a lunchtime stop at the Rugglestone Inn in Widecombe-in-the-Moor. At Holne we will pause for tea & cakes at the church and to see the 16th century painted rood screen. 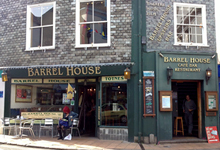 Walkers will then need lifts into Totnes for the evening show at The Barrel House, a cafe and restaurant with a stage – now SOLD OUT. 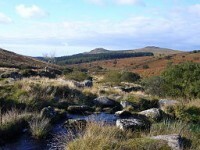 Starting back in Holne, today’s walk takes us across the southern section of Dartmoor to Ivybridge. 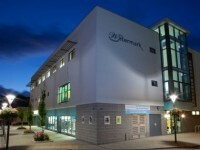 Friday’s show will be the biggest of the week – don’t miss it – in the Watermark Theatre, Ivybridge – with special guests to be announced. Tickets £12 on sale here. The final walk will take us down to the coast and the second sea. 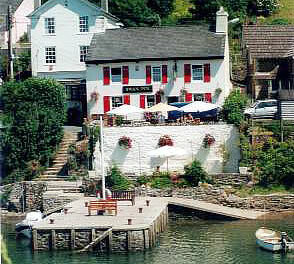 We end the tour with a closing set and session at the Swan Inn in Noss Mayo. any suggestions on where to stay Wednesday night ?? If it helps I’m based in Buckfastleigh, near Holne and happy to provide lifts etc into Totnes and surrounding area. Great concert in Exeter last Wednesday and do hope John has recovered from that awful cold – sterling job and don’t know how he kept going. We will be doing some of the walks too and will probably have the same issues re getting back to the car so sharing taxis, if buses not available, would be great. We live in Exeter and will be travelling back there after the gigs. Sounds good! We’ll look out for you. After 3 years of trying i will make it hapen this year!!! Already booked my flight and still sorting out all the rest but defenetly i´m coming over from germany to join you on that great walk!!! If anyone needs any assistance please email info@jj-rr.org and we will reply. Looking forward to joining in on 28th May, if you could let me have gathering time and location? Hi Julia, we’re just sorting out all the final details for the tour and it will all go on the website as soon as we can manage – hopefully over the coming weekend! Planning to leave Holne at 9.30. We haven’t fixed a meeting point yet. The Church House Inn looks like it is on the Two Moors Way so would be an excellent choice. Thanks. Congratulations to John, Colin and the crew on completing another epic walking tour. I’m sorry I was only able to take part for a couple of days. It’s probably too early to be talking about next year but John said he felt it should be somewhere “in the north” next year so can I suggest the Northumberland Coast Path? Stunning scenery, beautiful beaches, some good gig opportunities and a few less hills than this year.